No doubt, digital signatures have made shift from paper-based environment to paperless environment easy; however, the need is to implement secure and innovative solutions to sign files digitally. Businesses are searching for solutions that can sign their documents, files, or forms with protection. These solutions should guarantee non-repudiation, authentication and trust delivered by their conventional counterparts. Besides, speedy Return on Investment (ROI) and user-friendliness also hold the key while selecting digital signature solutions. Nowadays, increased online visibility has forced businesses to curtail geographical barriers to offer timely delivery and process convenience. This may require multiple documents to be signed from multiple locations. In such cases, organizations need a solution, which will allow them sign files from their desktop or web browser in no time. Therefore, it is very critical to select a right digital signature solution to meet business needs and goals. Here are some useful tips to guide our readers to choose an accurate digital signature solution from this "crowded" marketplace. Your digitally signed document should be legally complying to be considered legal and valid in the court of law. To attain this, the signing process must adhere standard regulations that are made to maintain your data secure and confidential. The digital signature solution should guarantee authenticity, confidentiality, non-repudiation and integrity to achieve secure and simple online processes. Authenticity makes sure that the right person has signed the document, while confidentiality prevents any unauthorized access to your electronic document. On the other hand, non-repudiation discards signature denial for future references. Last but not the least, integrity allows users to detect tampering made in the document during the transmission. Every industry has set some norms and regulations for electronic transactions. Health Insurance Portability and Accountability Act (HIPAA) and FDA's 21 CFR Part 11 are some of the health care legislations. Digital signature solution should help organizations meet these regulations by achieving compliance with them. In today’s economic scenario, it is very critical for us to measure every penny we spend. And this can be done through a proper Return on Investment (ROI) analysis. Today, the market is flooded with digital signature solution; however, the need is to choose right solution that can help us gain maximum ROI. 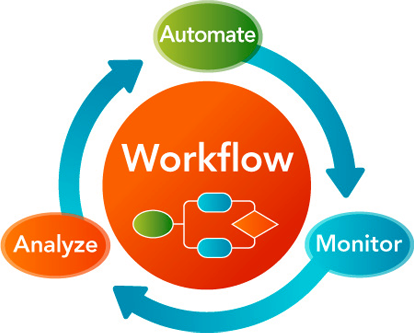 For any organization technology expenditure means automated, accurate process, and less turn-around time. Considering this scenario, your digital signature solution should bring you process automation, convenience, and accuracy. This accuracy and convenience helps bring more customer satisfaction and retention to these organizations. Technology updates have brought simplicity and convenience to some of our routine tasks like signing, giving approvals or even the verification. However, sometimes, it becomes difficult for novice users to get acquainted with the technology, and therefore, an organization has to spend money on training its personnel. This training not only involves money, but valuable time, which can be utilized for other productive purposes. So, it is very imperative for organizations to choose a solution, which even a novice user can handle very comfortably without prior training. 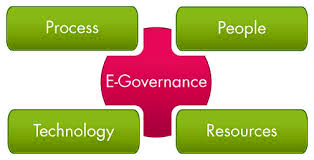 Therefore, your digital signature solution has to be user-friendly, and cost-friendly too. Your digital signature solution should support section signing (signing and verifying each section independently - multiple signatures) to a single document. It should be possible for more than one person to sign a document from various locations, enabling speedy process. Today’s business demands process accuracy, convenience, and timely delivery. In a typical approval process, a document has to be signed and verified at various Hierarchy levels, which means different individuals will sign that document at various stages to proceed ahead. In an electronic environment, this signing feature will enable you to implement the hierarchy-based approval process at your end to make processes paperless, fast, and reliable. Many organizations, especially banks and insurance companies, need to send thousands of statements, records, or policies to be signed and dispatched on a monthly basis. Traditionally, this process is cumbersome, time consuming, and expensive. To get rid of these hectic activities, you need a solution that can sign documents in bulk in no time without human intervention. It means an error-free document processing in no time can be achieved with just single solution. It not only saves time, but also processing time to maintain customer-friendly approach. Digital signatures have overhauled the traditional document signing and processing. The key is to understand and select accurate digital signature solution to eliminate routine hassles and delays. From process accuracy to timely delivery, and from speedy ROI to customer-friendly approach, your digital signature solution allows you reap maximum benefits, provided you have the right one with you.